Superchips has just expanded its range of Bluefin ‘plug and go’ DIY ECU remapping handsets to include the renowned RenaultSport Clio 200. The Bluefin is designed to bring your RenaultSport Clio 200 alive and maximise its acceleration and response. No mechanical or technical skills required. Just simply plug-in and go. With the RenaultSport Clio 200 Superchips Bluefin you don’t need any mechanical or technical skills, it’s quickly and easily installed from the comfort of your Clio’s driving seat. Simply plug the bluefin handset into the diagnostic port (connecting you to the vehicle’s Electronic Control Unit), the Bluefin then uploads new settings to enhance your Clio’s performance bringing your car alive within minutes. 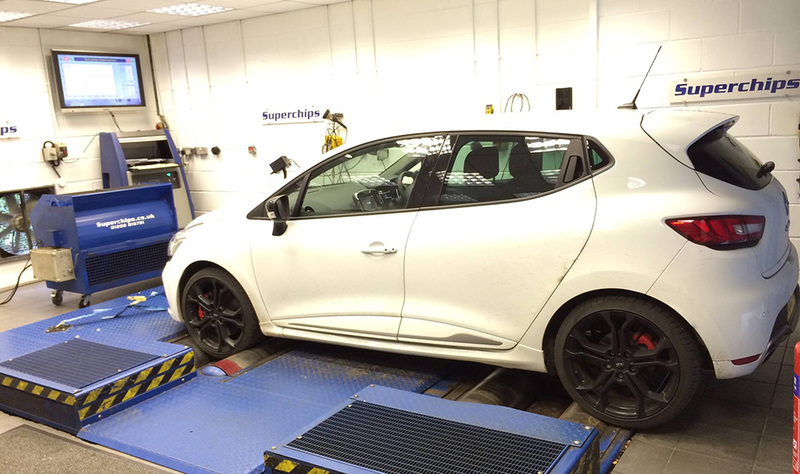 Superchips enhances the RenaultSport Megane 250 with a 49 bhp gain! With 246 bhp and a 156 mph top speed available from the factory, few would ever accuse the RenaultSport Megane 250 of lacking in pace. Yet there are always enthusiastic owners who demand that little bit extra, and now, Superchips Ltd, the world’s leading automotive ECU remapping enterprise, has responded to demand by launching a performance boosting upgrade. 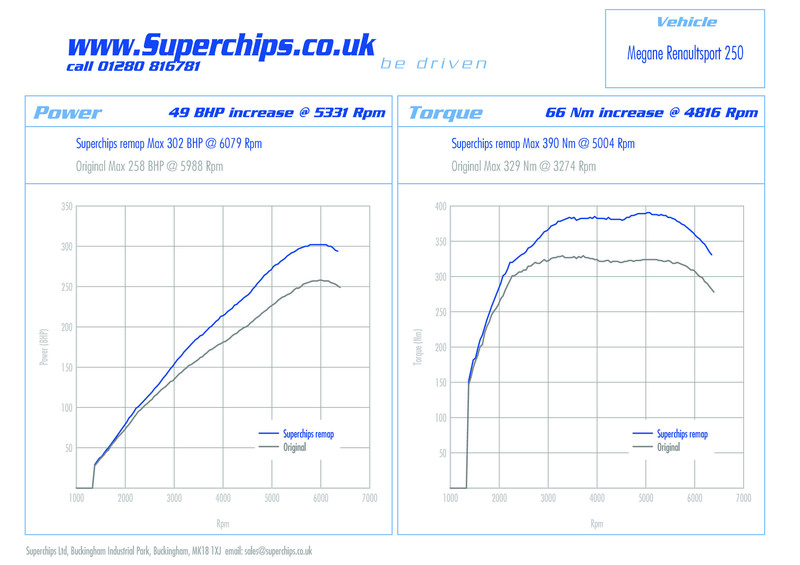 Designed to suit all Megane 250 models from 2010 onwards, dyno testing has revealed that the Superchips ECU remap increases power by a mighty 49 bhp at 5331 rpm, placing it at the very front of the hot hatch league. Indeed on Superchips’ in-house chassis dynomometer, peak power increased to 302 bhp. This power enhancement is also allied to a significant increase in torque, which climbs by 66 Nm at just 4816 rpm as a result of the Superchips ECU remap. Highlighting the driveability of the conversion, over 370 Nm of torque is available from 2800-6250 rpm, which showcases the effectiveness of the Superchips upgrade. The end result is a RenaultSport Megane 250 that’s not only quicker, but provides effortless urge throughout the rev range. On the road this translates into significant additional mid-range urge, livelier in-gear acceleration and effortless high speed cruising. For track work, or where speed limits allow, the Superchips upgraded RenaultSport Megane 250 is considerably quicker, enabling the 1387 kilo hot hatch to really excite its driver. Superchips’ expertise at optimising the settings contained within the Megane 250’s Siemens ECU means that (when driven on a like for like basis) the car’s 33 mpg combined fuel consumption remains unaffected by the conversion. And thanks to Superchips’ market leading Bluefin plug ‘n’ go handset, it’s never been easier for RenaultSport Megane 250 owners to enjoy the extra performance and excitement of a Superchips ECU remap. No technical skills are required as Superchips’ customers plug the Bluefin handset into the Megane 250’s OBDII diagnostic port and then follow the simple on-screen instructions, a process which takes a matter of minutes. As part of this process, the original factory Megane 250 ECU map settings are stored within the Bluefin handset for future use, which means converting the car back to standard is a swift and simple ‘plug and go’ DIY task. Alternatively, customers can visit one of approximately 80 UK wide Superchips performance centres, where trained technicians can undertake the remapping procedure. 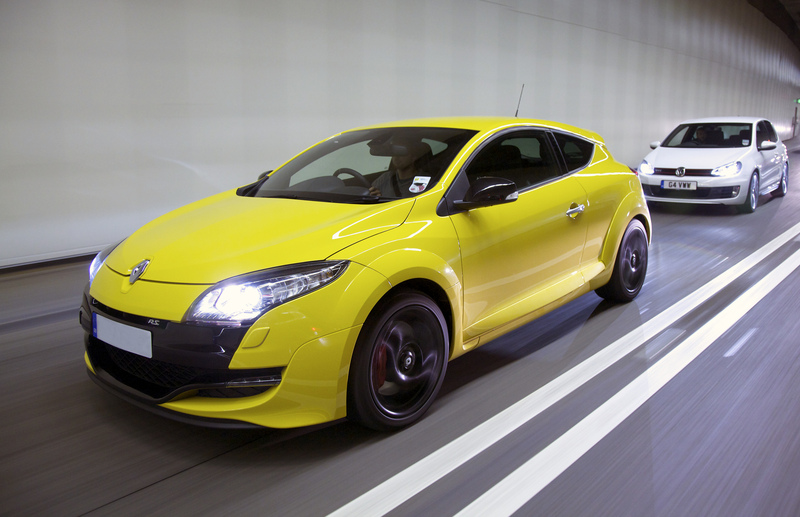 Suitable for all RenaultSport Megane 250 models produced from 2010 onwards, the Superchips ECU remap is available now directly from Superchips and its UK dealer network, priced at £455.00 including VAT @ 20%.